The 1980s were a fun, exciting time in pop culture ... and especially at the movies! 1985 in particular was a cultural lynchpin for a whole generation. We traveled through time in Back to the Future, hunted for treasure with The Goonies and hung with friends in St. Elmo’s Fire. 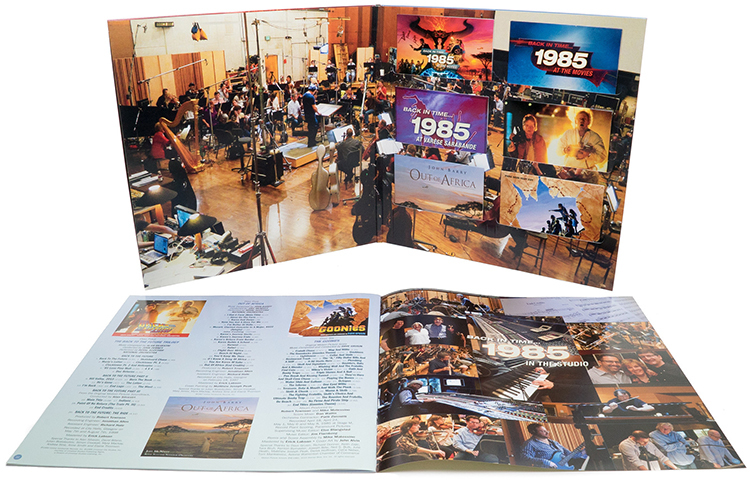 Music was always part of the adventure; the film scores of Jerry Goldsmith, John Barry and Alan Silvestri, and hit songs by Oingo Boingo, Tina Turner and Brian Ferry instantly conjured up the characters we love from their movies. 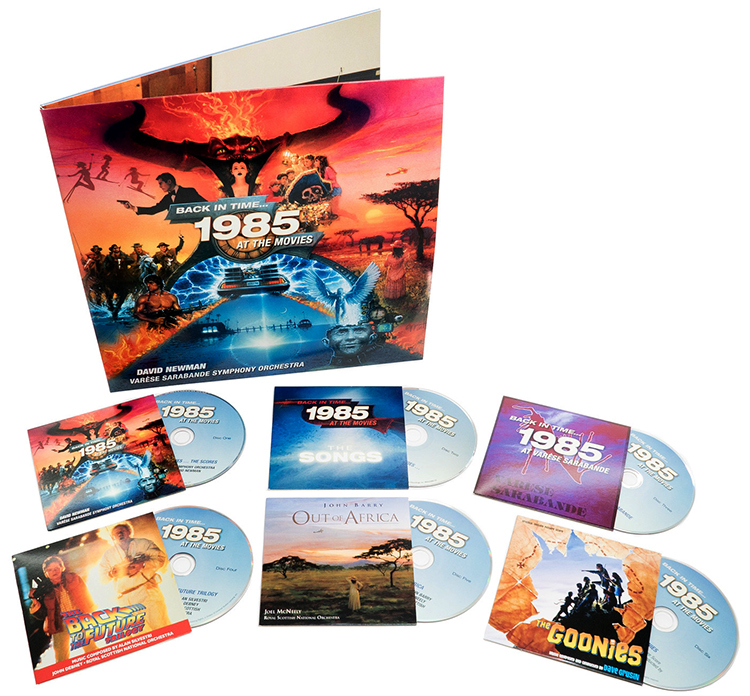 Now 30 years later, this 6-CD allows us to travel back and revisit Back In Time... 1985 At The Movies in a celebration of one of film music’s most iconic years!